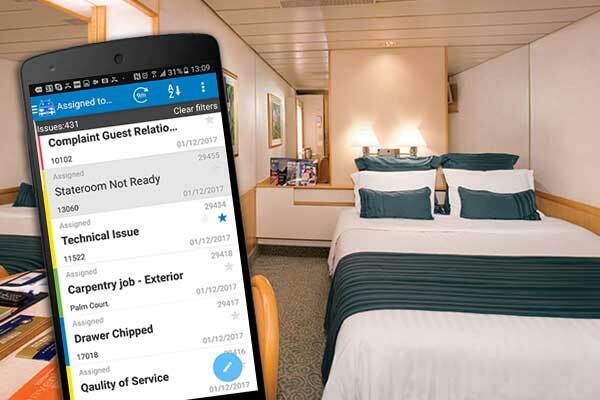 IssuTrax interconnects staff, locations, and resources in a centralized system that allows for real-time collaboration and providing a framework for creating, tracking and managing guest service order requests, maintenance tasks, safety and environmental issues, dry dock work, and more. Business rules and system configuration is used to define the multi-step workflows for each type of issue insuring that the appropriate department/user is assigned to a task from start to end. With IssuTrax™, your team can deliver the highest level of service when addressing guest related matters. IssuTrax™ also integrates to 3rd party products such as PMS, PBX, CRM, and inventory systems. We offer a suite of mobile solutions for housekeeping, guest services, technical departments, and audit & inspections. The headquarter data warehouse system manages all site/ship setup and configuration data and stores all site/ship transactional data into a single database for review, analysis, and reporting. IssuTrax provides management with a clear real-time picture of the top guest issues at each location and providing a complete view of the guest experience. IssuTrax Web is the core functionality of IssuTrax where users create, manage, track, and report on work order and guest service requests. IssuTrax HQ Data Warehouse is our shoreside data management and repository used to replicate data to and from the fleet. It’s used to setup shipboard data, configurations and maintains fleet transactional data. 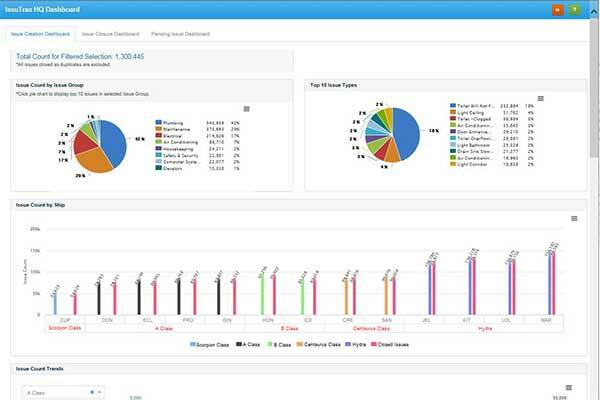 A reporting system and graphical dashboard helps management track and compare ship to ship performance. IssuTrax Mobile™ – is used by technicians, housekeeping staff and other users who are assigned to complete or fulfill tasks. The main function is to allow these users to remain mobile and automatically receive work/service orders and update the system on progress and completion of tasks while providing valuable data to help management improve processes and maintenance. IssuTrax Create™ – allows users to create service and work orders from their mobile device in real-time. Any user with the app can quickly address a guest complaint or maintenance task and automatically have the ticket routed to the appropriate department for resolution. IssuTrax Inspector™ – is a mobile based inspection app designed to carry out most any kind of inspection or audit onboard vessels. With IssuTrax™ Inspector you define all your questions, response types, assign points to questions, set pass/fail score, auto re-inspections, create tickets on failed questions, set corporate standards, and track departmental and user scores. IssuTrax Butler™ – is specifically designed for housekeeping staff and supervisors. 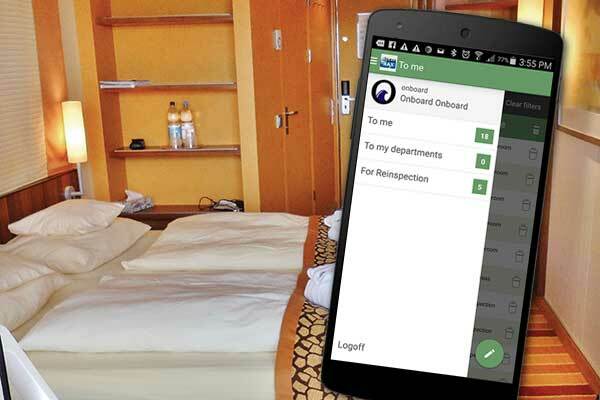 Butler interacts with the Fidelio Web Service to capture amenities, special requests, guest details, guest pictures and displays them to cabin stewards by cabin section. IssuTraxTM Butler also contains a cabin status function as well as a supervisor overview of sections and cleaning progress. IssuTrax Chat™ – is a messaging app that allows IssuTraxTM users to communicate with each other via IssuTraxTM mobile devices. Users can create ‘Ping’ messages used in a high priority or emergency scenario that requires and immediate response. IssuTrax IVR – allows users to create, update and close issues in real time from any phone connected to the PBX system and follows the same workflow and rules as IssuTrax Web. IssuTrax PMS Interface – IssuTrax™ interfaces with the major cruise line PMS providers to capture guest details such as name, cabin number, booking number, loyalty level, etc. when a guest service issue is created. SpecTec AMOS Interface – Query parts in AMOS to view the stock locations and inventory quantity in order to complete a task and track requisitions associated with an IssuTrax™ order.